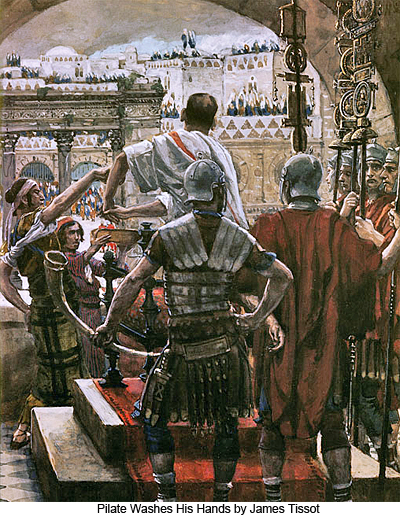 185:1.4 Pilate subsequently determined to regain this lost prestige and accordingly had the shields of the emperor, such as were commonly used in Caesar worship, put up on the walls of Herod’s palace in Jerusalem. 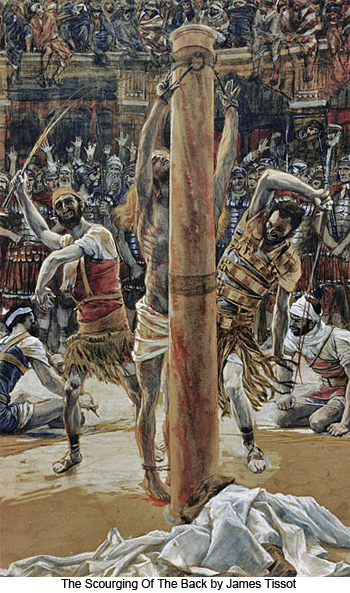 When the Jews protested, he was adamant. 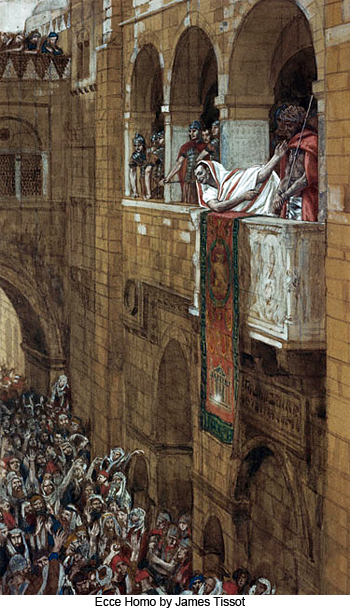 When he refused to listen to their protests, they promptly appealed to Rome and the emperor as promptly ordered the offending shields removed. 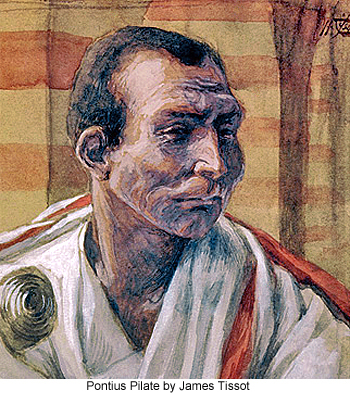 And then was Pilate held in even lower esteem than before. 185:1.8 And all this explains much that transpired on this tragic Friday forenoon. 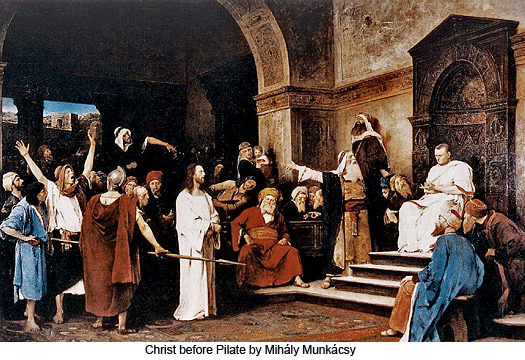 It is easy to understand why the Jews presumed to dictate to Pilate—to get him up at six o’clock to try Jesus—and also why they did not hesitate to threaten to charge him with treason before the emperor if he dared to refuse their demands for Jesus’ death. 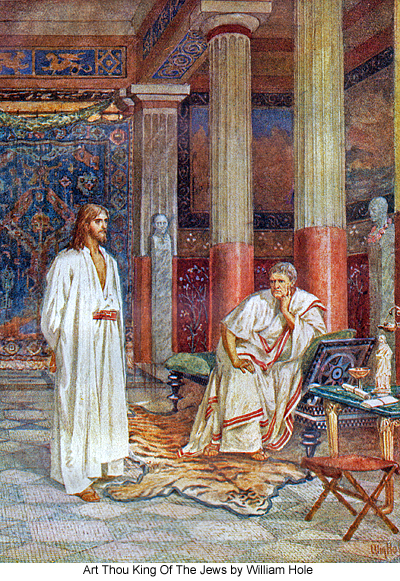 185:3.8 Pilate was hard pressed to know what to do with Jesus; therefore, when he heard them say that he began his work in Galilee he thought to avoid the responsibility of deciding the case, at least to gain time for thought, by sending Jesus to appear before Herod, who was then in the city attending the Passover. 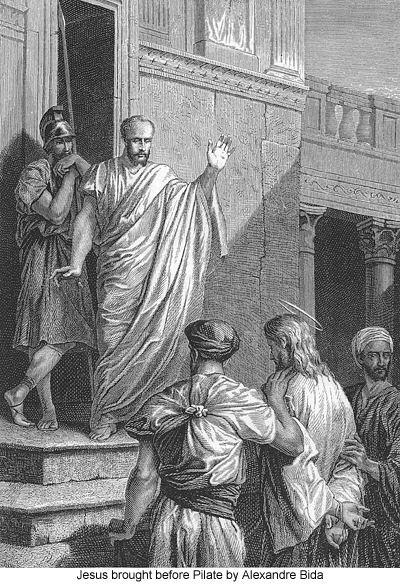 Pilate also thought that this gesture would help to antidote some of the bitter feeling which had existed for some time between himself and Herod, due to numerous misunderstandings over matters of jurisdiction. 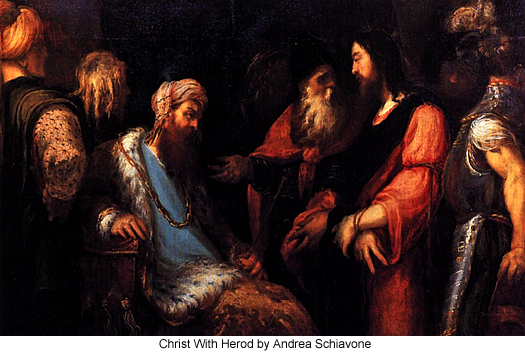 185:8.1 Here stood the Son of God incarnate as the Son of Man. He was arrested without indictment; accused without evidence; adjudged without witnesses; punished without a verdict; and now was soon to be condemned to die by an unjust judge who confessed that he could find no fault in him. 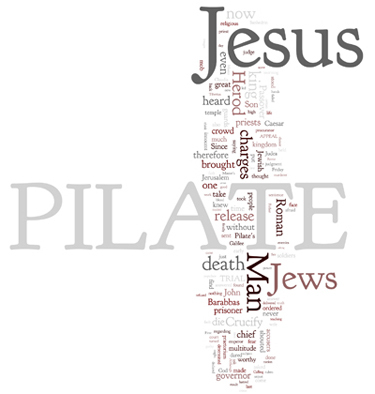 If Pilate had thought to appeal to their patriotism by referring to Jesus as the king of the Jews," he utterly failed. 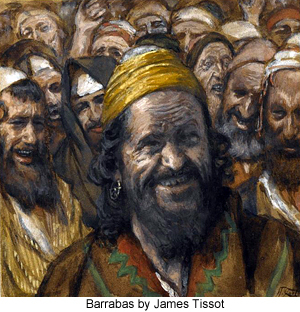 The Jews were not expecting any such a king. 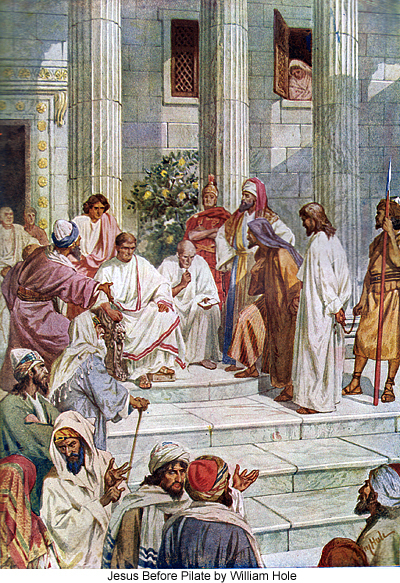 The declaration of the chief priests and the Sadducees, “We have no king but Caesar,” was a shock even to the unthinking populace, but it was too late now to save Jesus even had the mob dared to espouse the Master’s cause.